For many years, businesses have been talking about the need to develop systems to tie every aspect of marketing together from developing marketing communications through recording sales and providing after-sale customer service. In addition to not seeing them in companies that I have studied and for which I have consulted, it is obvious from the ads and commercials that most companies run in the media. When is the last time you saw an ad or commercial that has a built in mechanism, or code, for the advertiser to track the success of the ad? Over many years, my students at USC continuously analyze ads and commercials of companies as part of their homework assignments. As they have discovered, too many ads in various media (print, broadcast, and even online) have no such mechanisms. 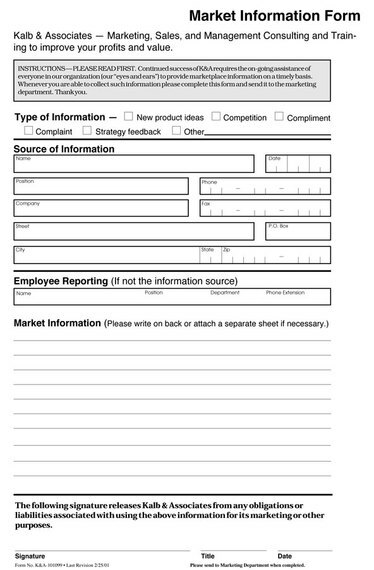 As shown above, marketers can collect a lot of the information on a Market Information Form (or its electronic equivalent). The information collected and how this information is used is summarized below. Leads are captured on a lead card or its electronic equivalent similar to the one shown above. 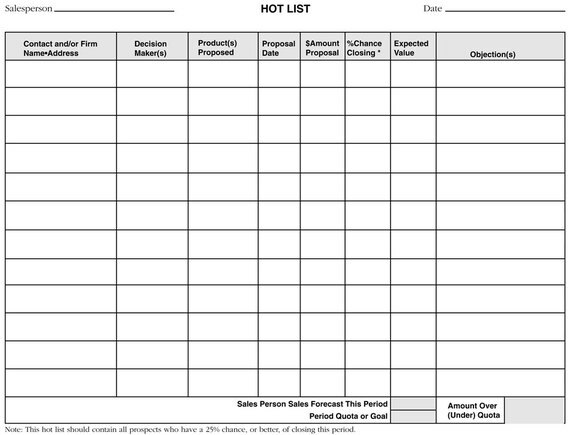 Sales people use the lead card to follow up on a prospect's interest with the objective of closing the sale. 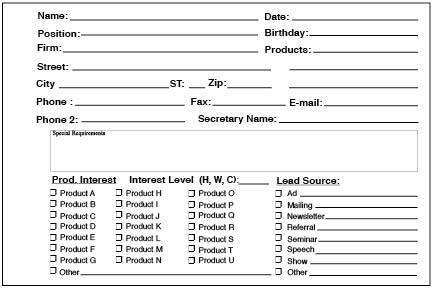 In addition to notes of all contacts, there are four main pieces of information that should be captured on the lead card. Chance of closing in the current period. 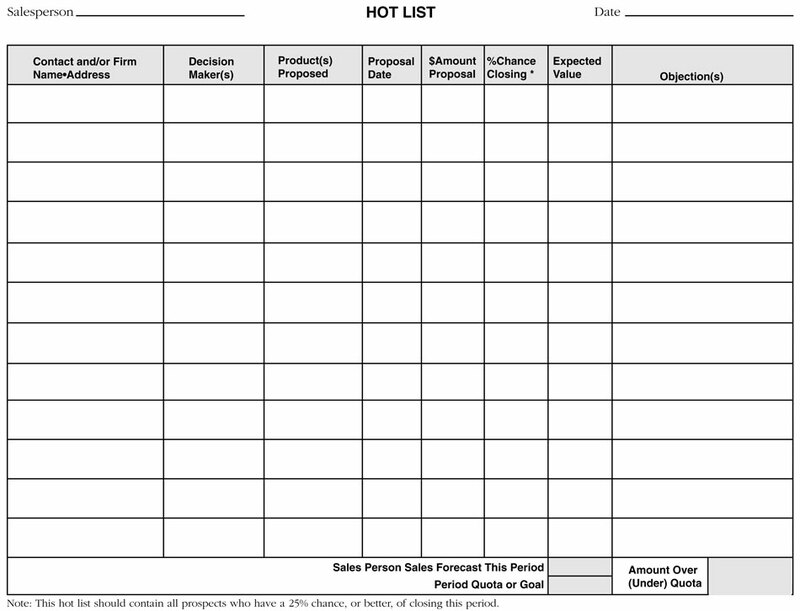 To qualify for the Hot List, a Hot lead should have at least a 25% chance of closing in the current period (each company should decide their own minimum threshold for Hot). Expected Value (5 multiplied by 6). If the dollar amount proposed is10,000 and the % chance of closing is "guestimated" to be 50%, the expected value would be $5,000. 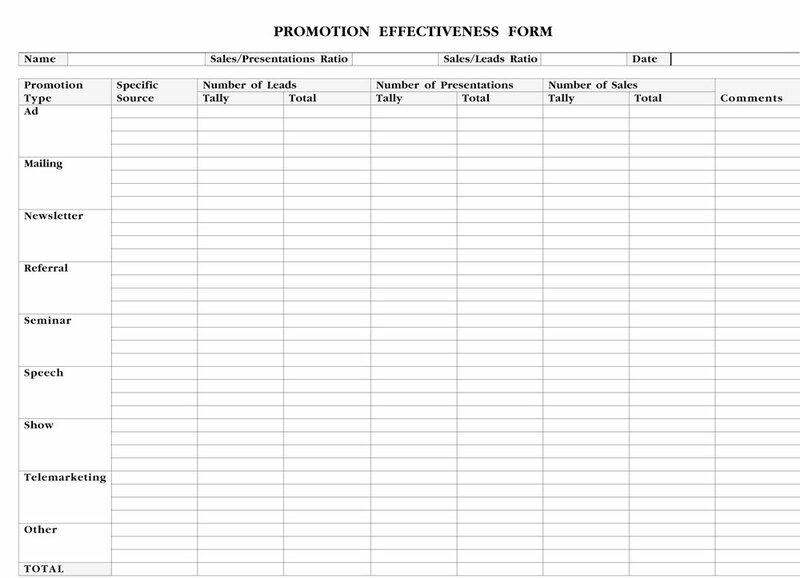 As each sales person captures the promotion source for each lead on the Lead Card, the information automatically flows onto his or her Promotion Effectiveness Report similar to the example above. 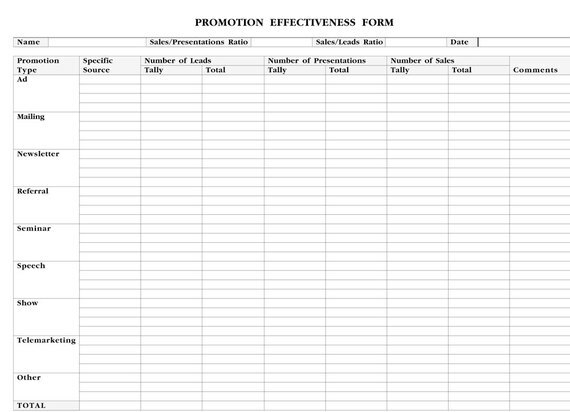 Every time a sales person gives a presentation or makes a sale from a lead, that information is recorded on the Promotion Effectiveness Report. The MIS system automatically adds up the total number of the leads, presentations, and sales company-wide for each promotion source. When compared to the costs of that promotion source, the marketing department can calculate the promotion effectiveness, or ROI, of each promotion. 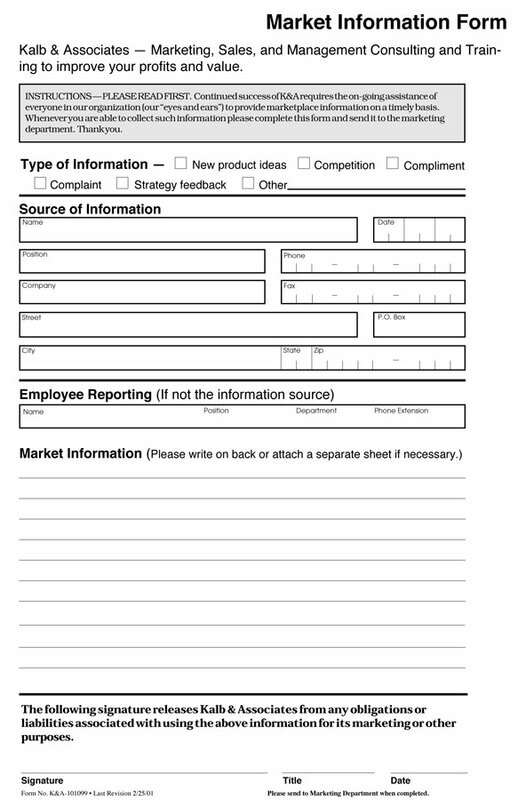 Since totals for leads, presentations, and sales are available in the MIS by sales person, the sales manager can automatically compute the batting average of each sales person and determine the number of leads and presentations each one needs to make his or her sales quota. In this way, the sales manager and the company marketers systematically work together to insure that (1) plan goals are met and (2) the money invested in promotion is not wasted (the ads and promotions that are effective will be repeated and the ones that aren't will be discontinued).